Arjen Kamphuis is “associated” with Julian Assange. The first is important – – a TEDx Talk, 9.5 minutes, “Arjen Kamphuis” in his own words. There are large gaps in this copy of the original posting – I can’t remove. Go to the URL if you would like to see it all. Police in Norway are looking into the disappearance of Arjen Kamphuis, a Dutch citizen with links to WikiLeaks founder Julian Assange. Versions on Twitter have ranged from a hiking incident, to a secret assignment, to a CIA hit. Kamphuis, a cyber security expert and co-author of a handbook for investigative journalists on how to keep themselves and their work safe from government spying, has been missing since August 20th, when he checked out of a hotel in the town of Bodø in northern Norway. 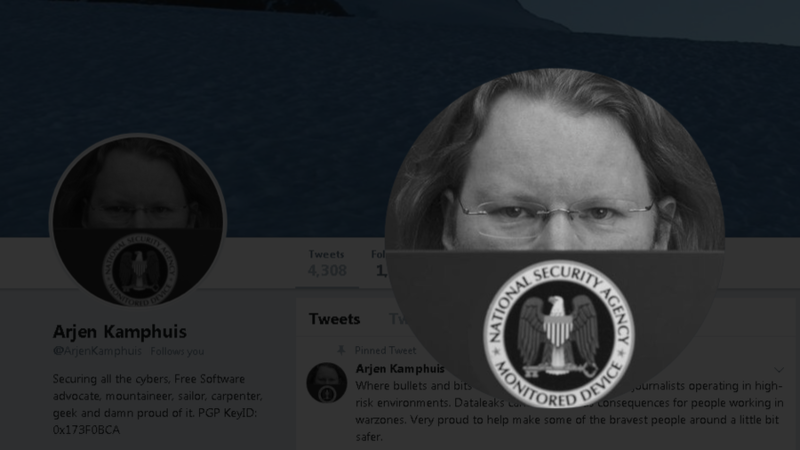 The disappearance was first reported on Twitter by Ancilla Van De Leest, former Dutch Pirate Party frontrunner and privacy activist on Friday. She wrote that Kamphuis was going to board a train from Bodø to Trondheim, which usually takes 10 hours. On August 22, Kamphuis was expected to leave Trondheim for Amsterdam. De Leest said he had already bought the plane ticket but nobody has heard from him since he left the hotel in Bodø. That means the man might have gone missing either in Bodø, in Trondheim, or somewhere in between during the train journey. The WikiLeaks Twitter account posted an update on Kamphuis’ strange disappearance on Saturday. Norwegian police on Sunday confirmed that they have opened a probe into the 47-year-old Dutchman’s disappearance, saying that at the moment they are in the dark about events that could have preceded it. In the missing persons report disseminated on social media, Kamphuis is decribed as an “avid hiker,” which prompted some commentators to suggest that the Assange associate might have gotten lost while hiking in the mountainous terrain. Many others have assumed foul play, considering Kamphuis’ connection to WikiLeaks. One user has floated the idea that Kamphuis might have been put on a “classified assignment” by WikiLeaks and had to go undercover, cutting all communication with the world at large. Some Wikileaks supporters have suggested the man might have been snatched or even killed in a covert CIA operation. However remote the chances of it being true, the need to even consider such an option has some people worried. “Captured or killed by agents of the five eyes alliance?” another user wondered, referring to the intelligence-sharing alliance of Australia, Canada, New Zealand, the UK and the US. Some argued that Kamphuis’ disappearance was intended as a warning to Assange. “The fact that he didn’t make that flight from Trondheim on August 22 and has given no explanation, that does look suspicious,” human rights campaigner Peter Tatchell told RT, adding that “we just don’t know” whether he was a victim of crime or assault, or has experienced a “dreadful accident,” perhaps related to his passion for mountain climbing. Unconfirmed sightings of the missing man were reported in Ribe, Denmark, on both August 28th and 29th. “One of the first things that the Norwegian police should be doing is getting hold of that mobile phone data to track his movements, to at least give some indication of where he went on the 20th through to the current day,” Tatchell told RT. In 2014, Kamphuis co-authored ‘Information Security for Journalists.’ The handbook, which Kamphuis said would be forever free to download, provides aspiring investigative journalists and media professionals with a thorough guide on how to avoid being snooped on by the state. “To ensure your privacy and the safety of your sources, Information Security for Journalists will help you to make your communications indecipherable, untraceable and anonymous,” the book’s description states.